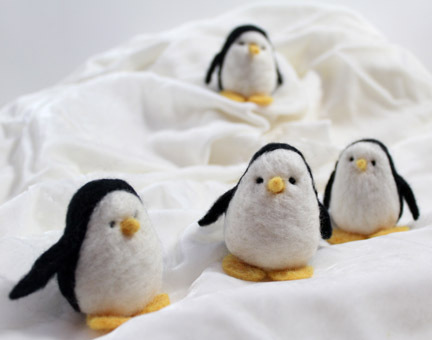 The needlefelt workshops are back! This spring I will be at The Forum in Norwich running two workshops as part of Makers Month. If you haven’t been before this is a wonderful opportunity to see and try out lots of different crafts for free, as well as book on to some fabulous workshops to learn a new skill in depth and there are fascinating talks and open exhibitions. Arts and crafts people from across Norfolk, will be at the Forum to show you how to knit, sew, crochet, spin, weave, print, embroider, quilt, draw, paint, sculpt and even whittle. Entrance is free, and everyone is welcome. I’m really looking forward to it! So if you would like to join me on a Needlefelt Workshop, do get in touch to book. There’s a choice of two, making a 3D sculpture from unspun fleece, or a decorative panel of fleece worked into wool felt. Each workshop will give you the skills to take needlefelting in a different creative direction. Book both for a 10% discount on the price. This entry was posted in Craft, Felt, Needlefelt, Norfolk, Textiles, Workshops and tagged needlefelt, Norwich, The Forum, workshops on January 28, 2018 by pennygj. This year, one of my challenges has been to try to work through the gloom and not let it get me as low as the last couple of winters, which were a real struggle. When I’ve been for a walk with Higgins, I’ve consciously tried to lift my gaze above the mud, to embrace the feeling that beneath the bare branches of the trees, inside the twiggy hedgerows new life is humming, just waiting for the longer days and spring warmth to burst forth. I love the smell of the newly turned earth in the fields, as the tractors churn up and down, trailing screaming gulls in their wake, and the clean straight furrows waiting for the first spikes of green. Sometimes we have sunrises like this… and sunsets too… …and there is always my little friend! So, how do you cope with the Winter Blues? Or do you love the winter months? I’d love to know. This entry was posted in Higgins, Life in General, Nature, Norfolk on January 16, 2018 by pennygj. I can’t believe we are nearly at the end of October! It’s all been a bit busy here on Planet Penny. We’ve just had a flying visit from the grandsons and grand dog which is enough to send anyone in a tizzy, especially Higgins! The grand dog is very “Tiggerish’ and Higgins has to be careful not to be bounced on. I’m having to do a bit of resting because of the M.E. so I’ve been installing things on my shiny new iPad so I can sit with my feet up and write blog posts. This my first attempt. Not so much the writing as working out the best way to process the photos…I’m getting there…gradually. And I’m also getting ready for the Two Rivers Trail Festive Fair which is coming up next month, so felting needles at the ready, I’ve been making acorns. But we have had some lovely weather, so over the past few days we’ve been out with the camera enjoying all the colours of autumn, so come with us, it’s only down the road! I love to think that someone was walking along eating lunch, tossed the apple core in the hedgerow, and planted a tree! 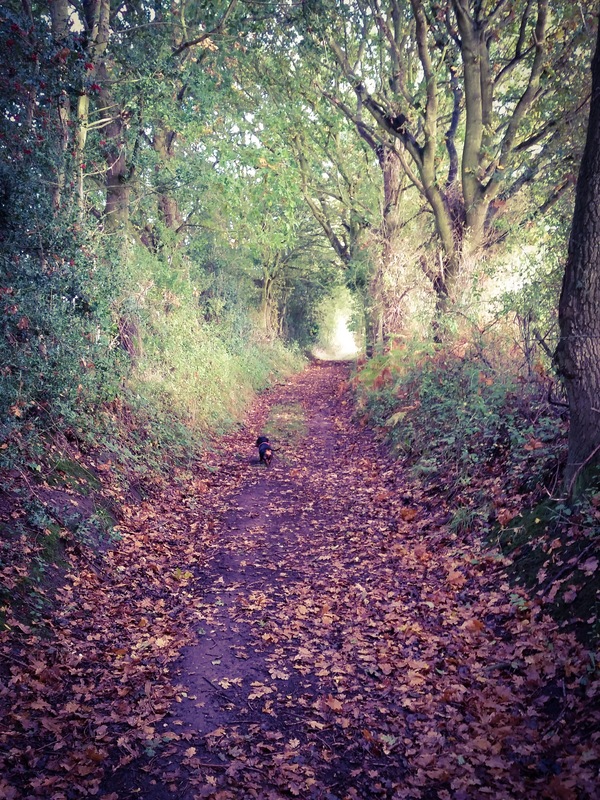 This is one our favourite stretches along the walk, sheltered enough not to get muddy. Because we do mud rather well in Norfolk! And while there are acorns on the trees… …there are needlefelt acorns in the studio! So watch this space… I’ll be back to show you the finished articles and with more news about the Festive Fair. This entry was posted in Dogs, Higgins, Life in General, Miniature Dachshund, Needlefelt, Norfolk and tagged miniature dachshund, Needle Felting, needlefelt, Norfolk on October 26, 2016 by pennygj. That September ‘new term’ feeling never goes away really, does it? All those years of seeing the ‘Back to School’ displays in the shop windows, the new school sandals (yuk!) and the new pencil case. So it always seems a good time to start something new, or give something established a freshen up and that’s what I’m working on with the blog at the moment. I’ve been blogging now for seven years, I can hardly believe it… there are 569 posts! Because the whole thing has grown up a bit piecemeal over time I need to have a tidy up. But it’s a bit like deciding to sort out the box of photos under the bed. I’ve got right back to the beginning re-reading every post, it’s a lovely trip down memory lane! I’ve gone back to past holidays, the arrival of Higgins and all the cute baby pics, the building of my studio, the passing seasons…It’s such a lovely record of my life and I’d never have done it without the blog. I’m sure you’ve noticed the new Planet Penny header. There’s so much going on here that than just wool so although I’m very fond of my sheep, I hope the new look encompasses the fact there’s a lot going on, and it’s all colourful! But as well as beavering away at the computer I’m trying to make the most of any September sun which comes our way, (which, alas, has been a bit elusive. I’m listening to the rain as I type!) I’ve been in charge of dog walking this past week so my camera has gone with me, and also a little friend of Higgins called Coco. I’ve had my hands full. and a fairy ring… But the fairy dogs weren’t interested… …until I mentioned the word T-R-E-A-T-S… Higgins gets quite bossy about treats! Meanwhile, back home and I’m crocheting up a big warm sweater with cold days in the studio in mind. After my lovely weekend at the Crochet Retreat with Frank & Olive I was inspired by Ruby’s big chunky crochet creations and so I was delighted to find that the issue of Simply Crochet magazine I bought last year (because I’m in it too!) had Ruby’s jumper on the front. I’ve customised it (because I’m not a sylph-like twenty year old) and I think it’s going to be very cosy. It’s a brilliantly simple pattern, no shaping and only the one stitch all through. What can go wrong? Picking up the wrong hook and doing half a sleeve with it before noticing, that’s what went wrong! So, not quite finished yet. 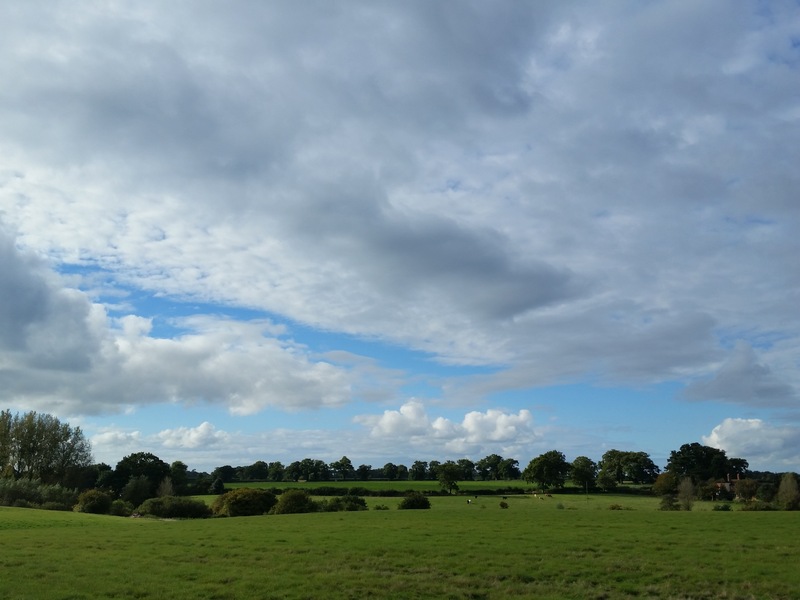 I hope you’ve enjoyed my September ramblings, do you spring clean in September too? 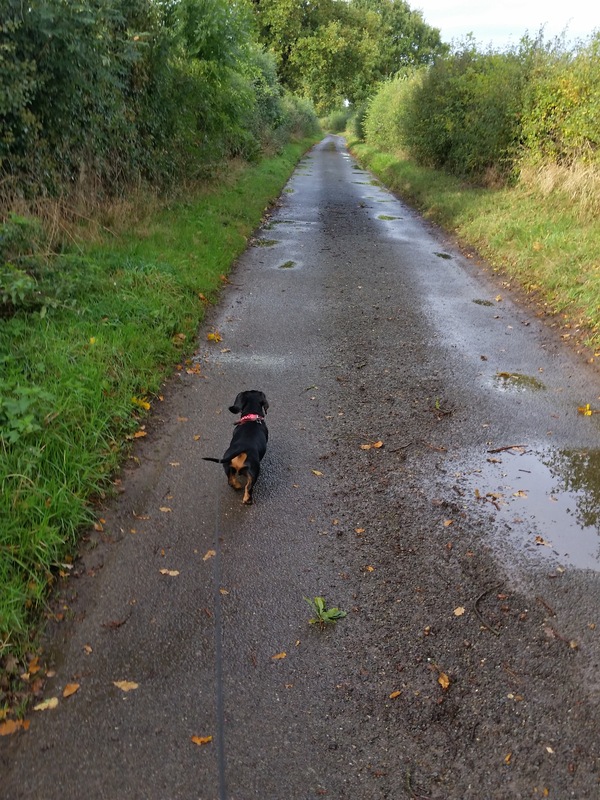 This entry was posted in Higgins, Life in General, Magazine Feature, Miniature Dachshund, Nature, Norfolk and tagged crochet, miniature dachshund, Norfolk, september on September 21, 2015 by pennygj. Thank you for all the positive comments on my last post. It’s lovely to hear you are happy to read my ramblings, and Higgins is positively swollen headed at the thought that you want a bit more ‘Dachshund Action’… He’ll do his best to provide it! He’s been banished to a cupboard now, but we haven’t parted company even though he obviously disapproves of everything I do! This entry was posted in Crochet, Life in General, Miniature Dachshund, Norfolk, Planet Penny Cotton and tagged crochet, miniature dachshund, Norfolk on August 24, 2015 by pennygj. I’m a bit obsessed with penguins at the moment! …and in a parallel universe I would definitely have a pet penguin, Higgins would love a little friend. And the question is, do I or don’t I add little knitted scarves, and would they be better with or without a hanger for the tree? I’ve thought about too much and need a second opinion! What you think? This entry was posted in Christmas, Craft Fairs, Higgins, Needlefelt, Norfolk and tagged Christmas, Christmas Decoration, miniature dachshund, needlefelt, penguins on November 11, 2014 by pennygj.